A while ago I saw a facebook update from my favourite store here in Dresden. 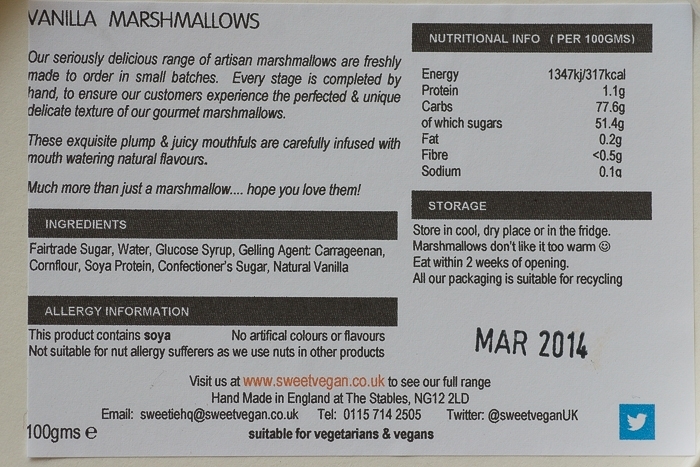 They had vegan marshmallows in stock. I was very exited because vegan marshmallows are not available here unless you order them online. And I was exited although I don’t really care for marshmallows. In Germany they are sold as Mäusespeck (mouse bacon) and I guess kids eat them. But that’s all they ever do. There is no culture of roasting them at the fireplace or eating them with hot chocolate here. I never cared for them because on their own they are just too sweet and sticky for me. And still I was exited because it’s great that these can be veganised, too. A couple of days later P. brought a box home and they have been sitting in the fridge for a couple of days until I was able to decide what to do with them. 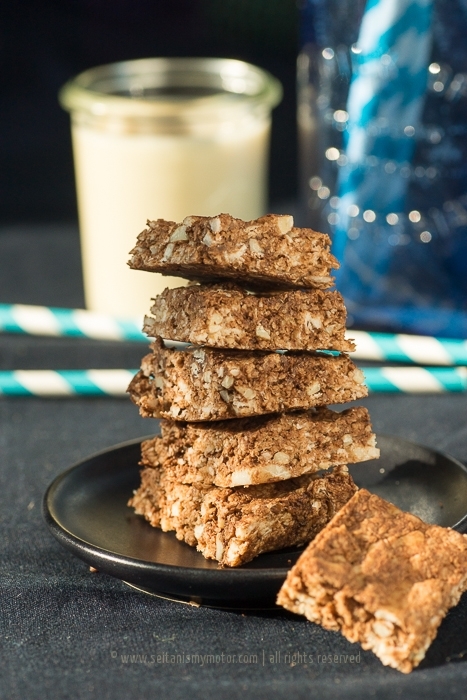 I found a recipe online for chocolate, coconut, and almond bars that looked exactly like what I was looking for and was easy to veganise. I toasted some almonds and coconut flakes in a pan and set them aside. I chopped up a chocolate bar. I figured out what to use in place of the cereal the recipe called for. And then my inexperience with marshmallows came in the way. The recipe said to melt the marshmallows in a microwave. Ok, but we don’t own a microwave. So I added a tablespoon of coconut oil to a pot and tried to melt the marshmallows in the pot. After a couple of minutes the marshmallows still hadn’t melted fully, but the mass was super sticky and really hard to handle. At the same time F. distracted me so I just dumped all the ingredients into the pot and started stirring to combine them. I transferred it to pan and started pressing it in there only to realise I had forgotten to add the cereal. Ah, well. So this recipe didn’t turn out as intended but these chewy little chocolate coconut bites are delicious! Line a small baking dish with parchment paper. (20 x 13 cm) Add coconut and almonds to a pan and toast for a couple of minutes, or until the nuts are just about to brown a little bit. Stir often. Set aside. Place coconut oil and marshmallows in a pan. Melt the marshmallows, stirring constantly. This will take a while and probably the marshmallows won’t melt super evenly. (Or melt them in a microwave, following the directions from the original recipe.) Once the marshmallows have melted, add the remaining ingredients and stir well. Press into the pan and let cool for about an hour. Cut into 15 squares. 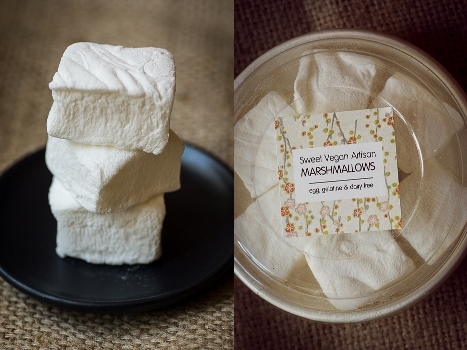 I’ve had interesting times getting different brands of vegan marshmallows to melt well. I think even the best o’ them melt into a kind of sticky mess rather than an easy to work with goo. I usually do krispie treats when I melt them and they tend to turn out ok though.